The wind blew with considerable venom across MacHale Park yesterday evening, where sheets of driving rain and a biting cold added to difficult playing conditions. It wasn’t a night for fancy football, with the imperative being to claim the two League points on offer. Mayo prevailed in the end by the narrowest of margins, giving James Horan just the start he was looking for from his second stint in charge of the county team. The Mayo News football podcast crew were at MacHale Park to capture all the action and reaction from this elemental battle between Mayo and Roscommon. 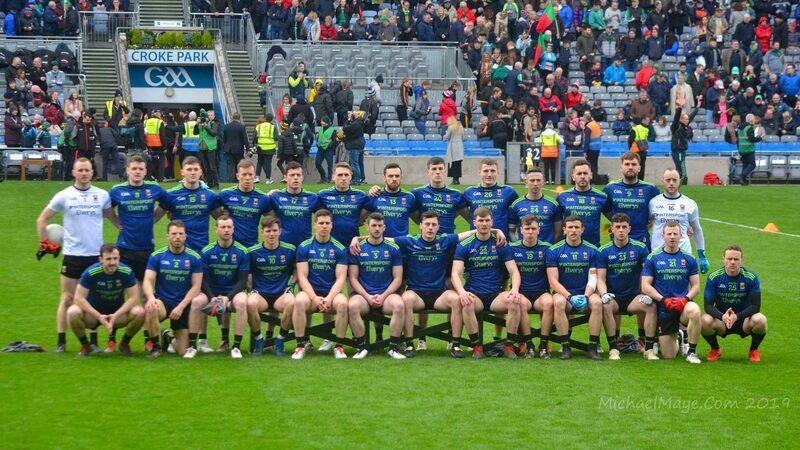 Co-hosts Rob Murphy and I take you through the game, after which we’re joined by Mayo News duo Edwin McGreal and Ger Flanagan for some post-game reflection. We hear the post-match thoughts from James Horan and from team captain on the night, Paddy Durcan, while Rob catches up with Mayo News columnist Billy Joe Padden to get his views on the game and his thoughts on what James Horan will have learnt from the team’s display. This latest episode of the Mayo News football podcast is now online and is available to listen to on iTunes and SoundCloud. You can also listen to it directly on the Mayo News website as well as here on the blog using the SoundCloud player below or the one on the panel on the right-hand side. Great podcast as usual, good win in very poor conditions. Not much was learned about the new Horan era, I think we will be competitive under Horan regardless of opposition as is his philosophy. Key positions need to be sorted as the league progresses but I like the basics of the team so far, Reape is the type of forward that can trouble systematic teams as he has an unpredictable skill set but he has the physicality to hold a position. I think Fergal Boland will be crucial in calmer conditions as a play maker especially if Kevin Mc is unavailable. Omagh will be interesting I suspect we will play more ball but can we break Tyrone down? I don’t regularly agree with Joe Brolly, but I think we really should look to have Aidan OShea in around Full forward…one reason, to try take advantage of the offensive mark. Such a great ball winner.